Jonathan walked into my office looking downcast. I knew why. His recent exam results were the most disappointing he had yet produced. His parents and teachers were at once angry, disappointed and baffled. His intelligence wasn’t the problem, as confirmed by several previous assessments. He had been diagnosed with ADHD (Attention Deficit Hyperactivity Disorder), but none of the medications used for this condition had made any difference to his results. He claimed to have studied for the exams, and his parents assured me that he knew his work well. The stakes, as Jonathan knew all to well, were high. His University application – and with it his future – hinged on these results. What could be done? Jonathan was underachieving and the pills had failed. Recent advances in neuroscience have dramatically altered the landscape for those afflicted with disorders such as depression, anxiety, ADHD and a host of other neuropsychiatric conditions. In fact, the effectiveness of newer medications has resulted in the lowering of diagnostic thresholds for many of these conditions, with more and more people accessing treatments for symptoms which, only a generation ago, wouldn’t have been considered symptoms at all! Imperfection, it would seem, will no longer be tolerated. No one is allowed to underachieve (whatever that may mean). Which is all good and well when the medicine helps, but what if it doesn’t? Where does that leave us? Some medications have very clear-cut, evidence-based guidelines for dosage. An example is atomoxetine (Strattera), used for ADHD, which needs to be prescribed at a mimimum dose of 1.2mg/kg body weight. Easy. Weigh the patient and prescribe the right dosage. Off you go, see you next time. 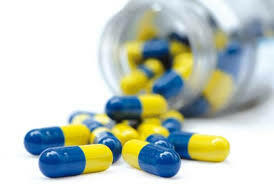 Other medications are not quite so simple, such as methylphenidate (Ritalin, Concerta), also used for ADHD. Contrary to popular belief, there is no milligram per kilogram optimal dose for this agent. It is highly individual and the dosage has to be carefully titrated against effectiveness and side-effects. This is marked inter-individual variability and it is quite conceivable to have an eleventh grade student taking the same dose as a fourth grader. One of the reasons for this apparent anomaly, at least in ADHD, is the influence of maturity. As children develop, they become better at managing their lives and employing various coping mechanisms to minimise the impact of the condition. Not every child (or adult) with ADHD responds to the stimulants (methylphenidate and the amphetamine salts). In fact, reliable studies reveal a response rate of around 70%, which means that 3 out of 10 children with ADHD will be stimulant non-responders. So the correct approach here is to try other ADHD medications, such as atomoxetine, clonidine or guanfacine. The important point principle here is to be systematic; to try one medication at a time, for long enough to judge the response, before moving on to the next. Unfortunately, there is no way of knowing in advance who will respond best to which medication, it is a matter of trial and error. Parents, understandably, don’t like this as it seems unscientific, but that’s where we stand. But there are times when treatment failure should prompt the physician to reconsider the diagnosis. This is especially true when more than one class of medication has been attempted without success. If you keep knocking on a certain door without a response, perhaps you need to knock on another door? For example, there are several conditions other than ADHD which may present with poor concentration and/or academic underachievement. Learning disorders, anxiety, depression, sleep disorders and various medical conditions can all affect a child’s ability to concentrate. In many communities, the ADHD diagnosis has become the ‘knee-jerk’ reaction for children experiencing classroom difficulties. In considering the functioning of a child at school or in any other domain, it has become too easy to invoke a ‘one-line’ psychiatric diagnosis as the all-sufficient explanation. Certainly in most Western cultures, there is an increasing tendency for various presenting behaviours to be subsumed under a particular diagnostic heading. Hence, a poor work ethic is due to ADHD, severe temper tantrums are because of Bipolar Disorder and nightmares are ascribed to Generalised Anxiety Disorder (GAD). There are various pressures behind this trend, not the least of which is the promise of a medication to address the condition. Ritalin for ADHD, Risperdal for Bipolar Disorder, Prozac for GAD. It’s neat and simple. In many countries, the medical insurance system also fosters this reductionistic tendency. Reimbursement requires a specific diagnosis, and even when the practitioner acknowledges the true state of affairs to be more complex, the patient won’t be refunded without the ‘one liner’ and its attendant diagnostic code. A related issue is the time pressure which most professionals work under. It is a lot more time-consuming and thus expensive to look deeper than the presenting symptoms and to consider the more subtle aspects of the child’s environment, especially family relationships, which might be relevant to his symptoms. This formulaic approach to childhood problems is at odds with the true nature of human behaviour. The brain is more than a bag of chemical soup, and we are not merely the products of a series of neurochemical reactions. Even our genetic make-up is not as immutable as we have previously been led to believe. We (yes, even children) have the capacity to make decisions about ourselves and how we will react in a certain situation. The technical term for this is agency, and it is a very important trait to nurture, even from earlier childhood. We all exist in a context, especially an interpersonal context, in which we find love and meaning. And this more holistic view, which incorporates the metaphysical domain, is not without support in the scientific literature. Thus we find for example, the character trait of self-transcendence, which refers to the capacity of a person to focus on the needs of others, to find fulfilment in doing things for a higher purpose outside of themselves. It has been found that this trait confers protection for individuals against depression and various other mental illnesses. In our increasingly chemically complacent society, there is an increasing tendency to look for chemical solutions where there is no pathology at all. Psychiatry, more than most medical disciplines, is vulnerable to this kind of abuse because of the lack of clear-cut, objective diagnostic tests by which to unambiguously confirm or refute a diagnosis. We have to make do with clinical judgement and a subjective appraisal of symptoms. Also, psychiatric disorders, including ADHD, are mostly dimensional in nature. This means that there are no clear-cut boundaries around the condition, and there exists a so-called zone of ambiguity around the diagnostic threshold. Contrast this with other medical conditions, such as meningitis, for example: you can’t have a ‘touch’ of meningitis: you either have it or you don’t, and there are reliable laboratory tests to rule you in or rule you out. There is currently a raging debate in the ethics literature around the phenomenon of cognitive enhancement, whereby stimulant medications are used by healthy individuals to study for exams or even cope better in the workplace. Many doctors see no problem with this practice and will prescribe ‘on demand’ for these purposes. When I started in practice fifteen years ago, my biggest challenge was to convince unwilling parents of the need for prescribed medication for the diagnosed condition. But the tide has turned, and I now find myself in the perhaps more uncomfortable position of having to ‘rebel’ against the expectations of parents (if not the child), referring teachers and even society at large. A significant part of my job now is to manage expectations. Jonathan may well be underachieving at present. But instead of dragging him from doctor to doctor in search of a diagnosis and treatment, perhaps we should let him be. Ironically, this approach may actually assist his studies; freed of the pressing incessant demands of teachers and parents, he may just relax a bit and show us what he can do! After all, there are some shining examples of individuals who have been labelled as abnormal in some way, only to have shot the lights out later on. Think Thomas Edison, for example. He was regarded by his teachers as ‘addled,’ and asked to leave the school. Today he would have been diagnosed with ADHD. His saving grace, besides his prodigious intellect, was a mother who understood what he needed and nurtured and taught him accordingly. Perhaps many of our children could do with a bit more of that? I was wondering whether you treat oppositional defiance in young children?